Dirty blonde hair is so often underrated. This spectrum of hair color can grant you great versatility and offer the chance to be wholly unique. There are endless options when it comes to dirty blonde hair looks; there’s something out there for every age, aesthetic, and skin tone. From honey tones to golden accents to strawberry highlights and everything in between, we think that dirty blondes have the most fun! Check out tips, ideas, and inspiration for dirty blonde hair looks below. With dirty blonde hair, highlights make all the difference. 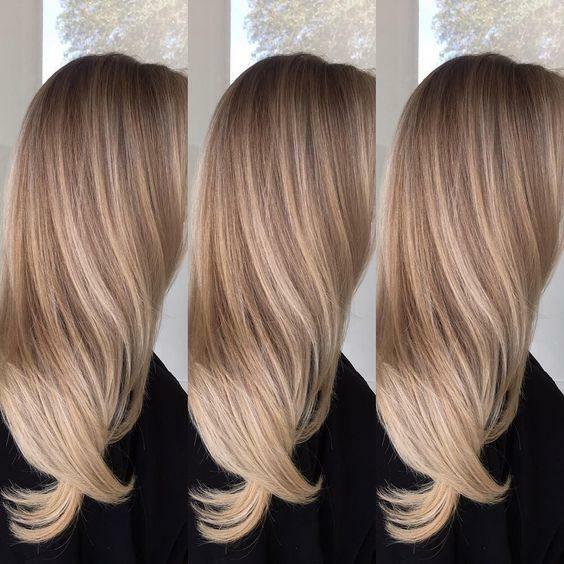 While the tone of a highlight is hugely important, the placement of highlights also impacts the overall dirty blonde look. There’s no better way to draw attention to your lovely face than to place golden highlights at the front of your head of hair. Bright, golden-to-platinum highlights that frame the face make for a youthful and summery dirty blonde look. We especially love this style for ladies with blue and green eyes, as face-framing highlights will bring out those paler tones. Many dirty blonde styles feature highlights that are dispersed throughout the hair for a balanced look. Dispersed highlights are the best way to achieve a natural dirty blonde look that works in just about any style, from updos to relaxed, flowing curls. Dirty blonde ombre hair is an increasingly popular style. It starts with deeply colored roots that lighten to blonde at the tips for a gradient effect. We love dirty blonde ombre looks because it enables you to include a whole spectrum of tones in a single style. For dirty blondes, roots require extra attention and maintenance. But, roots also present an opportunity to make your dirty blonde look unique. Some women choose to keep the roots dark to contrast with blonde highlights; others opt to keep up with light roots to keep the style bright. Jessica Alba is one of the most well-known celebrities with dirty blonde locks. She usually rocks dark brown roots with honey-colored highlights that lighten to the tip. This darker toned dirty blonde style compliments her warm skin tone and brings out the richness of her brown eyes. Sarah Jessica Parker is practically a dirty blonde icon. Her straight-to-wavy hair typically has chocolatey roots with caramel highlights. You can draw inspiration from this look to create a low-maintenance style that’a contemporary and eye-catching. Heidi Klum is a gorgeous fashion icon and has shown off several different variations of dirty blonde hair over the years. This picture shows one of her darker looks, featuring deep brown roots and bright honey-colored highlights from the middle of her face to the tips. Heidi’s hazel eyes and golden skin tone complement virtually any combination of blonde and brunette tones, making her a go-to dirty blonde celeb example. If you’ve been waiting around for the right reason to rock a dirty blonde look, wait no more! From this article, you can see that dirty blondes come in all different colors and variations, and you can let your individuality shine.